Just a few weeks ago, on Sunday, May 27, Mack Wolford, a Pentecostal minister in West Virginia, was conducting a Sunday service for the members of his congregation. That was his last day on this earth. 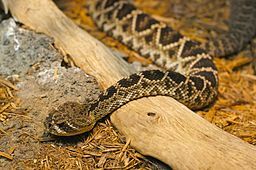 Pastor Wolford, a colorful and legendary character, believed Christians should handle poisonous snakes to test their faith in God. He further believed if he was bitten God would heal him. This was a regular part of his congregation’s religious services.